When Corbyn refused to back down, the Queen summoned George ‘Slasher’ Osborne – the architect of austerity – and asked him to try and form a new interim government even though the electorate had rejected everything Osborne stood for. Now I’m sure you could think of plenty of words to describe that sequence of events, but ‘democratic’ would not be one of them. More or less the same scenario has been played out in Italy these last few days. There, the anti-establishment Five Star Movement and the Northern League (Liga Nord) together won around 50 percent of the votes in the March poll. Prime Minister-elect Giuseppe Conte wanted to introduce tax cuts and public spending increases to get the Italian economy moving again. But his choice of economy minister, Paolo Savona, was vetoed. Savona is a veteran Eurokeptic and has said that joining the euro was a “historic error” for Italy. President Sergio Mattarella vetoed Savona because he believed his economic program could threaten Italy’s membership of the euro. It’s true that the proposed €100bn-plus spending program would smash the EU‘s three percent budget deficit ceiling, but that tells us as much about the budget ceiling and how restrictive it is as it does about the merits of Savona’s program. You could say that Italy’s current problems – indeed all of Europe’s economic woes – go back to the early 1990s, when wrong-headed decisions were made by the European elite and enshrined in the Maastricht Treaty – which workers have been paying for ever since. Cuts in public spending have increased unemployment, which in turn has increased the deficit, which has led to more cuts, and so on and so on. Italy‘s National Debt is now 132% of its GDP. Although growth rates are now positive, its average annual rate of growth from 1999-2016 was zero. With 31.7% youth unemployment, La Dolce Vita and Ryan Paris’s catchy song, is a long distance memory. The tragedy is that it was all so predictable. One man who warnedwhat Europe was letting itself in for in the rush to squeeze as many countries as possible into the Eurozone, was the late Labour politician Peter Shore, the UK’s secretary of state for economic affairs from 1967-69 and trade minister from 1974-6. In the early-to-mid 1990s I was teaching economics in Switzerland and was in correspondence with Shore. He very kindly sent me copies of parliamentary debates where he had railed against the Maastricht Treaty and its imposition of a financial strait-jacket on EEC/EU members – regardless of the state of their economies. Shore told the House of Commons on March 24, 1993: “The most astonishing omission from the treaty is the fact that it never faces the issue of the counter-recession policy, about which it contains not a word. One lesson that we should have learned from the disasters of the inter-war years was that tendency to go too high in a boom, and too low in recession and slump. The problem is not that the idea of a single currency for European countries is a bad one. It‘s the way the whole thing was implemented. Perhaps the architects of the Maastricht Treaty thought that with the demise of the Soviet Union they could restructure Europe’s economies to be more banker-friendly. The center-left meanwhile could be bought off with ‘add-on’ measures such as the ‘Social Chapter.’ But what’s the use of the ‘Social Chapter’ if you don’t have a job to go to in the first place? By blocking the appointment of Savona, Italian President Mattarella, appeared – at least earlier in the week – to have made matters a whole lot worse from a Europhile perspective. 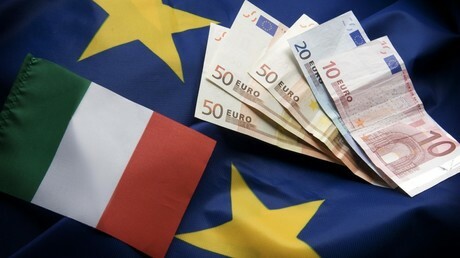 On Tuesday, the euro dropped to its lowest level against the dollar for 10 months. But the Milan stock market did rise 1 percent on Wednesday, with reports emerging that Five Star and the League could yet form a government, albeit without Savona. The remarks of Gunther Oettinger, the EU’s budget chief haven’t been helpful either. “My concern and my expectation is that the coming weeks will show that markets, that government bonds, that Italy’s economic development could be so drastic that this could be a possible signal to voters not to choose populists from left and right,” the German declared. The words of Donald Tusk and Jean-Claude Juncker have been more emollient, and Oettinger himself has apologized for what he said, but you could say the damage has already been done. If Italy’s voters were Euroskeptic before last week, they’re even more so now. For a solution to the crisis, we need to look to Berlin. The EU’s strongest economic power needs to cut struggling countries like Italy a lot more slack. To reduce its deficit in the medium to long-term, Italy needs to increase it in the short term – and should be allowed to do this – within the Eurozone. 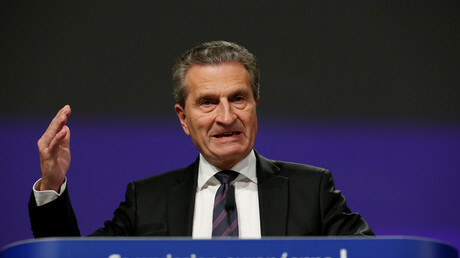 Democracy should trump the ‘markets’ and Herr Oettinger. The EU – and not Italian voters – must blink first. It‘s not often you‘ll find me quoting George Soros but on the need for the EU to change direction, and drop its ‘addiction to austerity,’ he is surely right. The billionaire hedge funder is smart enough to know that unless there are big changes in the way the EU operates, the whole European project will be doomed. Let’s leave the last word to Shore, the man who saw exactly what the rushed introduction of the euro and the associated ‘addiction to austerity’ would lead to. The date of Shore’s letter? December 14, 1993. *Neil Clark is a journalist, writer, broadcaster and blogger. 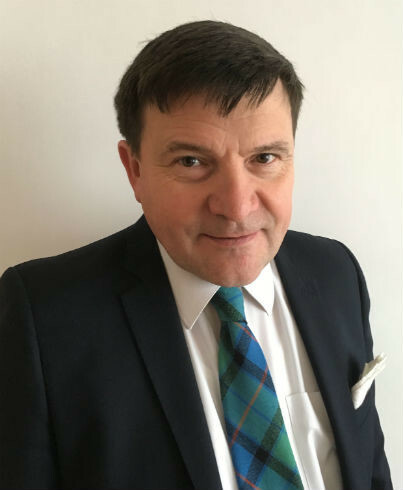 He has written for many newspapers and magazines in the UK and other countries including The Guardian, Morning Star, Daily and Sunday Express, Mail on Sunday, Daily Mail, Daily Telegraph, New Statesman, The Spectator, The Week, and The American Conservative. He is a regular pundit on RT and has also appeared on BBC TV and radio, Sky News, Press TV and the Voice of Russia. He is the co-founder of the Campaign For Public Ownership @PublicOwnership. Neil Clark’s Op-Ed was published in RT. Go to ORIGINAL.